Discussion in 'Certifications, eBooks and Tutorials' started by BenMar, Apr 10, 2019. Intended for intermediate Java programmers, analysts, and architects, this guide is a comprehensive analysis of common server-side Java programming traps (called anti-patterns) and their causes and resolutions. 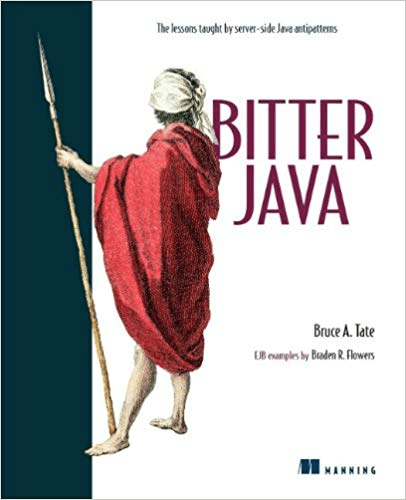 Based on a highly successful software conference presentation, this book is grounded on the premise that software programmers enjoy learning not from successful techniques and design patterns, but from bad programs, designs, and war stories -- bitter examples. These educational techniques of graphically illustrating good programming practices through negative designs and anti-patterns also have one added benefit: they are fun. anarchylin, ideat, vradjeno and 1 other person like this.